Here are some nifty short pieces by Danny. 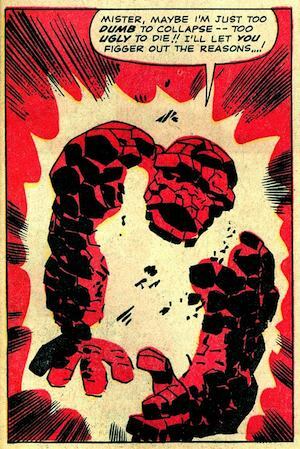 “Too Ugly to Die” is a 2011 essay about a classic Lee-Kirby Fantastic Four panel: Read at hilobrow.com. Danny’s picks for the Top Ten Graphic Novels: Read at guardian.co.uk. An op-ed Danny wrote for the Los Angeles Times: Read at latimes.com. Op-ed about Spider-Man from The Baltimore Sun: Read at baltimoresun.com. Danny weighs in on Batman Begins: Read at awn.com. A review of 2002’s Spider-Man movie by Danny: Read at awn.com.